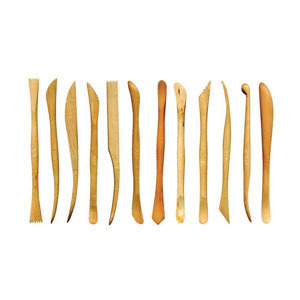 Boxwood Plain Modelling Tools are used to sculpt and model clays and moulding compounds. Different head shapes allow the artist to create various effects like ridges, grooves and plains. Made from boxwood, they are strong and easy to grip. Boxwood Plain Modelling Tools feature double ended tips for a variety of uses. Ideal for clay, metal and leather.